Female journalists who traveled around the world to report on Vice President Mike Pence’s trip to Israel this week were literally blocked from doing their jobs on Tuesday morning. The women were led to a fenced off area behind their male colleagues, which obstructed their vantage point and prompted many to decry the segregation on social media with the hashtag #PenceFence. Men and women are customarily separated during prayer at the Western Wall, which is under the authority of the ultra-Orthodox Jewish Western Wall Heritage Foundation. 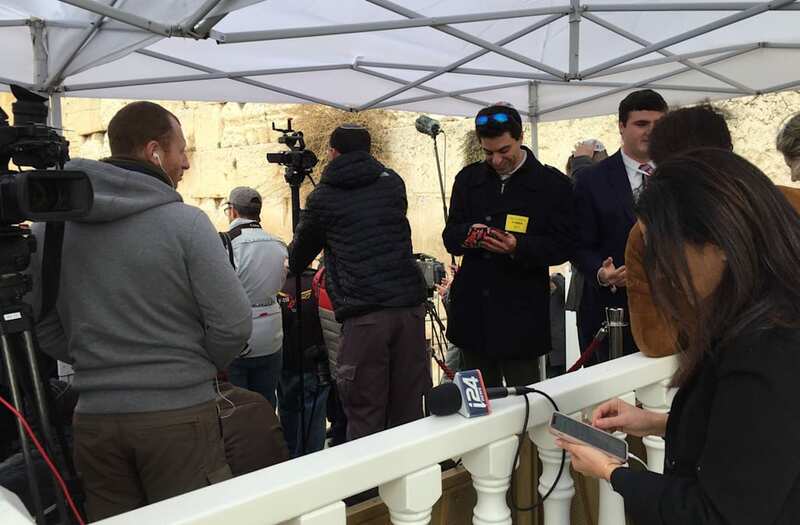 Tal Schneider, a political correspondent with business newspaper Globes, said she felt like “a second-class citizen” from behind the fence at the wall. “I have covered many visits; this was an aberrant first,” she tweeted. The outrage adds tension to a visit already shadowed by controversy. Last month, President Donald Trump sparked massive protests and international condemnation when he officially recognized Jerusalem as the capital of Israel ― a move that upended decades of American foreign policy and threatens to stall the Israeli-Palestinian peace process. Pence also faced angry protests during his two-day trip in response to the contentious shift in U.S. policy. The “Pence Fence” fiasco also came one day after a Finnish female journalist in Israel was reportedly strip searched and told to remove her bra during a security check, apparently as a result of her Palestinian descent. According to reports, she refused to comply and was barred from visiting the prime minister’s office to cover Pence’s arrival on Monday.